… YOU SPELL THAT SPICY GREEN OR RED VEGETABLE “CHILE” (pronounced CHEE lay) AND NOT “CHILI” (pronounced chee lee). * Beyond Courage, the story of the Bataan Death March in a musical documentary. Water — our state’s most important resource — continues to be a serious issue. In 2003, New Mexico received the least amount of precipitation in its recorded history. Although large areas of the state did receive several inches of precipitation (rain or snow) in late March and early April 2004, because of six years of inadequate moisture, it remains in drought condition. Series of articles about water – its history and problems — of the Lower Pecos River Valley and the Roswell Artesian Water Basin have been published in prior issues, most of them written by local water historians and authorities, some appearing on the Industry page. Also in many of the prior issues appeared maps of early ditches in the Roswell area that were pertinent to the readjudication of water rights. Those can be viewed by clicking on the archive button and looking at earlier issues, mostly found on the Home/Main pages. We continue to explore Billy “The Kid” Bonney’s Origins, a subject that remains a mystery. That exploration is often, but not always, found on the Byways Page. Click Archives button to look at prior issues. Also in this issue, current controversies concerning Billy are explored on the Industry page. * Lt. Col. N.A.M. Dudley, Court of Inquiry, Fort Stanton NM 1879 (continued) — relating to the Lincoln County War of 1878 — translation by Bob Barron of the lengthy handwritten court transcripts of the historical document, and that work refurbished by Barron’s daughter, Donna Tatting. These records provide valuable insights into the lifestyles of that era, of the actual events of the Lincoln County War and of what followed. * Wings of Freedom, history and photos of two World War II restored bombers. * Battle for Billy’s Bones (continued) — the currently raging battle over the exhumation of Billy and his mama, and putting Billy, dead for 123 years, on trial for murder, perhaps too, also trying for murder Sheriff Patrick Garrett, the man who allegedly shot him. ARCHIVES Page holds, for easy retrieval, prior issues. As this is Roswell Web Magazine’s 17th issue, the Archives contain the first 16 issues, by page/category, for easy retrieval. 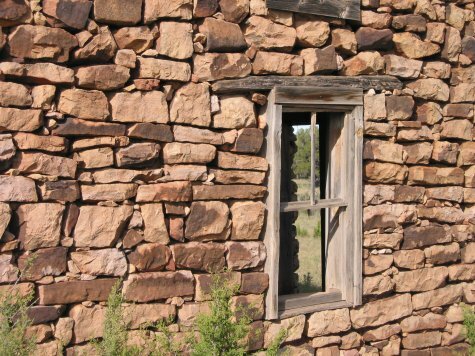 Around the anniversary of Billy the Kid Bonney’s demise (July 14, 1881 in Fort Sumner, NM), members of his modern-day Gang leave their guns and tempers behind — but not necessarily their politely rendered and sometimes differing opinions — and gather in the forest beyond Ruidoso for fellowship and fun. Gangsters of all ages and from all over, even sometimes beyond the shores of the U.S.A., camp together, often in appropriate era garb, one weekend a year. Most of the Gang are serious historians and try to stick to historical facts. However, that can be difficult. For instance, there are many published versions just of his famed escape from the Lincoln County courthouse alone. And a very few BTKOG members hold differing opinions about Billy’s demise. Did he really die that hot night in July, 123 years ago, at Fort Sumner? The vast majority of BTKOG members believe indeed he did. Among the BTKOG, the greatest controversy is whether or not his bones should be dug up. New Mexico’s modern-day Lincoln County sheriff recently opened an investigation into Billy’s escape from the Lincoln County jail nearly 1-1/4 century ago that resulted in the deaths of two men. Then others joined the circus. The sheriff asked the New Mexico State Police to assist with the investigation, and in June, 2003, Gov. Bill Richardson approved the reopening of the homicide case, putting Billy on trial. How can the courts punish someone already dead? Also under consideration is exhumation of the remains of Billy, and his mama for DNA comparison, to establish whether he really did die in New Mexico. But there are many who want Billy and Catherine left alone, to rest in peace. The locations of their remains — those of Billy in Fort Sumner and Catherine in Silver City — are indefinite, and the possibility of identifiable DNA is unlikely. It is this editor’s opinion that the only ones benefiting by this silly searching expedition are those who claim Billy’s bones repose outside of New Mexico. Therefore, let them dig up their own bones! We appreciate our advertisers; please let them know you appreciate them too by saying you saw them here. Advertisers and sponsors assure the Roswell Web Magazine continues. Let us know by Email if you’d like to place an ad, at very low rates, that will be viewed by subscribers from the community and all over the nation and far beyond. Buy long-term ads. Unless credit is specifically given for photos, you may assume they were taken by your RWM editor/photographer. a tierra de ayer (land of yesterday) where time’s been kind.